Great location with free parking in an great location. The staff was amazing - helpful and gracious beyond expectation. We left our car for an extra day while we skied and then were able to take a shower when we returned. I'll be back. Where to find Champex hotels near an airport? Where can I find hotels in Champex that are near tourist attractions? 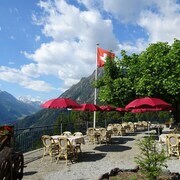 Are you arranging to spend time in Valais? 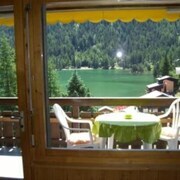 Hoping to reserve accommodation in Champex? About 3 hotels are within 0.1 kilometres (0.06 miles) of Champex's center. Our hotels that are within driving distance of Champex include the Hotel Vatel and Martigny Boutique-Hôtel. 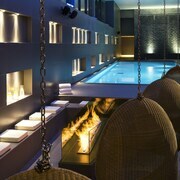 You could also check out the W Verbier or the Hôtel Nendaz 4 Vallées & Spa. The W Verbier can be found 12 kilometres (7 miles) away from the center of Champex. 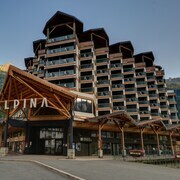 The Hôtel Nendaz 4 Vallées & Spa, is positioned 20 kilometres (13 miles) away. The Les Ecrins de Soulane as well as the Le Hameau Albert 1er are some alternative hotel options in Champex. Leukerbad is 55 kilometres (34 miles) to the northeast of Champex and is where you'll find Leukerbad Ski Resort and Alpentherme Thermal Baths. 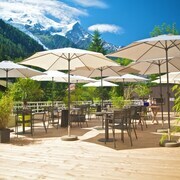 Should you wish to spend a few nights in Leukerbad, be sure to check out the Les Sources Des Alpes and Aparthotel dala. 35 kilometres (22 miles) to the northwest of Champex, you'll also find Vionnaz, home to the Macchi Hôtels-Chalets de Tradition and Le Roitelet. If you're staying in Vionnaz, you might like to visit the Chablais Historical Museum and Télésiège Grands Places. If you love sports and love watching local games you might choose to visit Stade de Geneve, which is 80 kilometres (48 miles) to the west of Champex. For those who are keen on booking accommodation close by, make a reservation in the Swiss Luxury Apartments or Beau Rivage Geneva. If you are traveling into or out of Annecy - Haute-Savoie Airport and plan to stay nearby try L'Impérial Palace or Hotel Le Pre Carre. 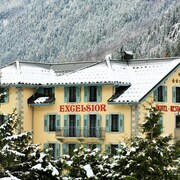 What are the most popular Champex hotels? Are there hotels in other cities near Champex? 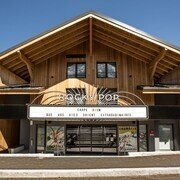 What other types of accommodations are available in Champex? Explore Champex with Expedia.ca’s Travel Guides to find the best flights, cars, holiday packages and more!